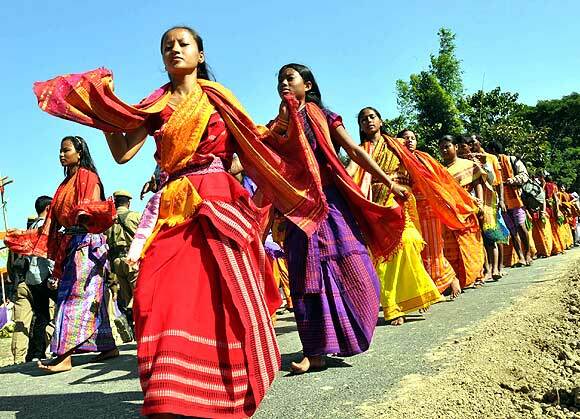 A spell of ancient magic, from the erstwhile tribal kingdom of Mayong, has been cast near the Pobitora Wildlife Sanctuary in Assam. 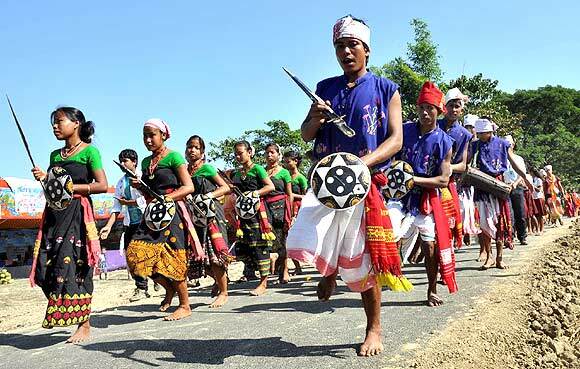 The Mayong-Pobitora Festival, which celebrates the fusion of magic and wildlife, started on Friday. 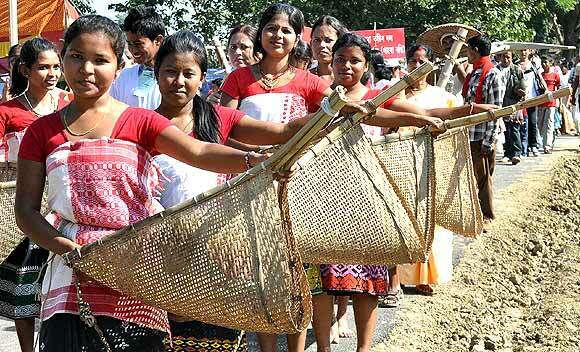 Ethnic food prepared in the tribal way has added a special flavour to this carnival at Mayong, barely an hour's drive away from Guwahati. Mayong was once considered a hotbed for magic and sorcery where, according to folklore, magicians or tantriks (sorcerers)could cast complex spells to control almost everything. 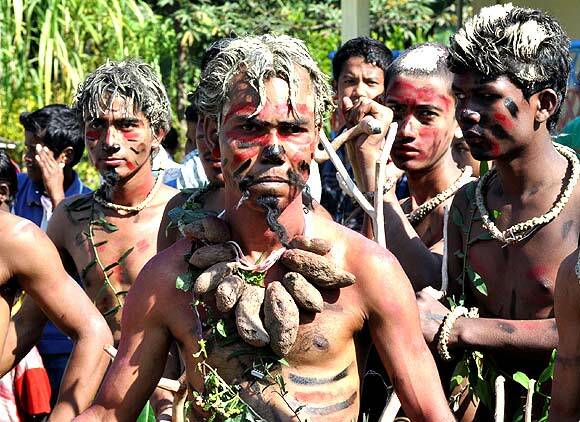 One of the biggest attractions of the carnival is a colourful procession of 101 descendents of tantrik families, some of whom claim to continue with the age-old practice till date. 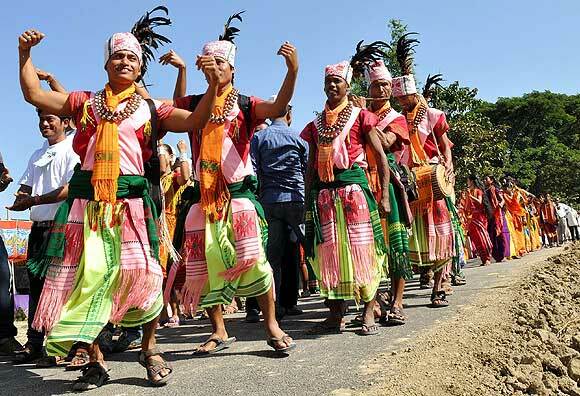 The participation of several Assamese ethnic communities made the procession more colourful. 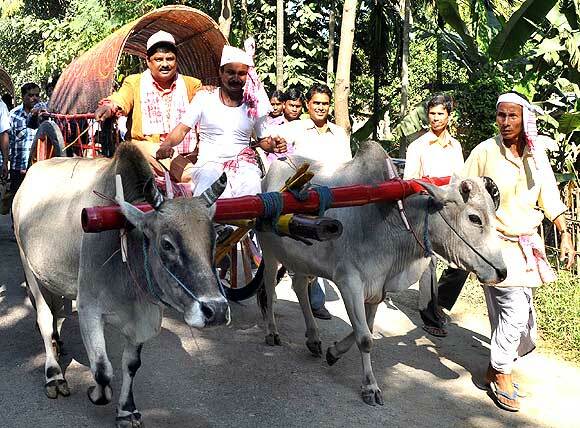 Assam Forest Minister Rockybul Hussain took part in the procession in an age-old bullock cart. 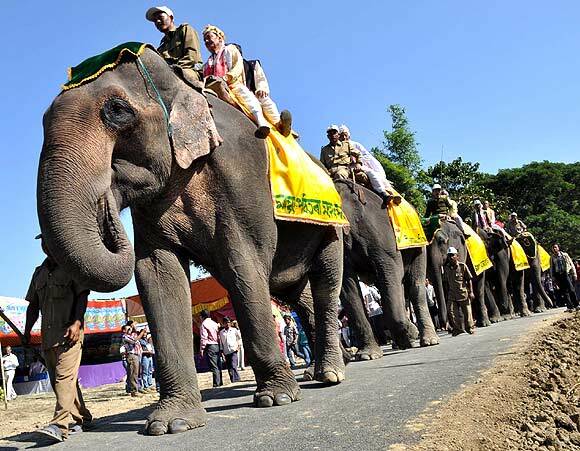 The procession was led by elephants in the front and the titular king of erstwhile Mayong kingdom Tarani Kanta Singha was riding atop one of the mighty beasts. Accdrding to ancient texts, Assam was once known as the land of magic while Mayong was believed to be the nerve-centre of sorcery. The tantriks or magicians here, it is claimed, could even make people disappear and cure complicated ailments with their mantra. The Mayoing-Pobitora Festival has been organised to highlight the tradition of magic and tantra and the way the practice has been kept alive by some people. Bolen Saikia, an octogenarian resident of the area, claims that there was a time when some of the tantriks could help one find the location of a lost object and the image of the thief, with merely a mirror. Some of the tantriks used their healing powers to cure diseases, he said. 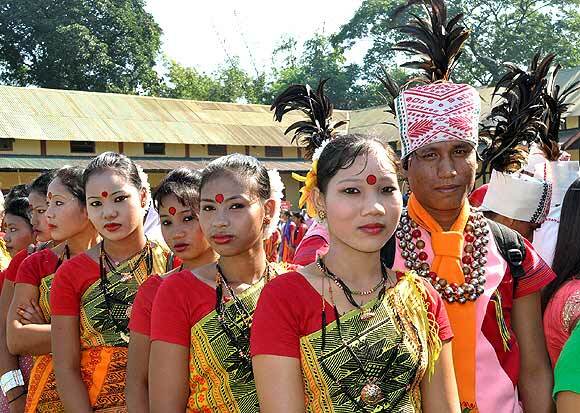 The festival has been organised jointly by the local people of Mayong, the Moriganon District Administration and the Assam Tourism Development Corporation. It aims to promote the ethnic traditions of the tribal community of Mayong and the Pobitora Sanctuary, where over 80 rhinos live in an area of nearly 38 sq km, making it the highest rhino-density area on the globe. The festival has attractions like spot therapy by magicians from Mayong, exhibition of the historical remains of erstwhile Mayong kingdom, kayaking, sight-seeing and sumptuous ethnic food. Prithviraj: What have I done to deserve all this?